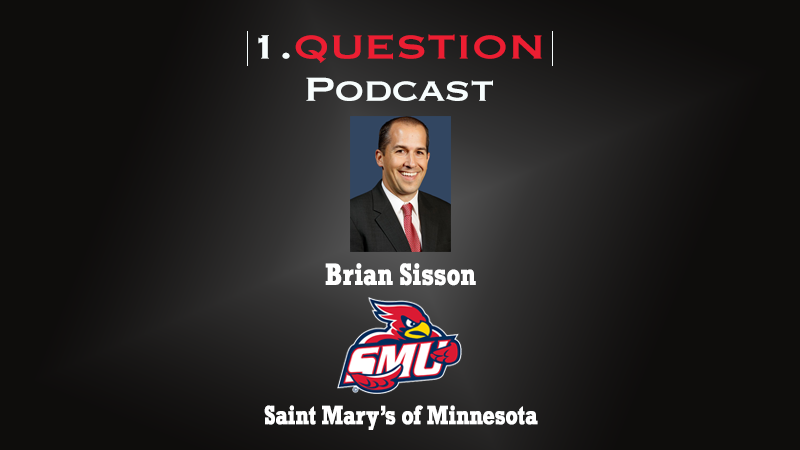 Brian Sisson, Athletics Director at Saint Mary’s University of Minnesota, visits the 1.Question Podcast on the topic of getting to know conference colleagues. Sisson details his road trip to visit fellow ADs within the Minnesota Intercollegiate Athletic Conference. He also discusses his vision for fundraising at Saint Mary’s as he closes out his first four months in the AD chair.